If you followed the adventures of Blogger-in-Chief, Duncan Rhodes, when he enjoyed an action-packed two day staycation in Barcelona, then you’ll know by now that Urban Travel Blog and Skrill online payment system have teamed up to show folks how to “Holiday Like a Local” in some of the world’s most exciting cities. Duncan and contributors in Rome, Paris, New York, and yours truly in London, were each given a Skrill Prepaid Mastercard loaded with €500 and sent on our merry ways to enjoy our respective cities to the fullest extent – while taking notes to share insider tips for when others visit these cities we love so much. Dream gig? Pretty much. So I had €500 (just under £340) burning a hole in my proverbial pocket that had to be spent in 48 hours and could only be spent on having fun and playing the tourist in London. Was I up to the challenge? I was certainly keen to take advantage of my newfound wealth to pay for some things I’ve been craving to do and try to treat my girlfriend, Kemey, along the way as well. 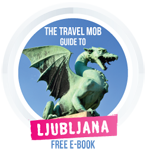 So have a read over my two-day insider’s itinerary and see if you reckon I made the most of my “free money”… and if you think you could have done better, leave your own tips in the comments section. My first day of staycation started with breakfast 36 floors up at Darwin Brasserie. Located in the Sky Garden of 20 Fenchurch Street (the City of London’s so called “Walkie Talkie” building), it was a lofty perch from which to plot out our plans. We even had a bird’s eye view of our next destination: the Tower of London. I’d go back more for the view than the food, but that’s not to say I didn’t appreciate my plate of smoked haddock with poached egg and toast – just that the view was so incredible. After our meal we stepped out onto the 35th floor terrace and marveled at the city laid before us. 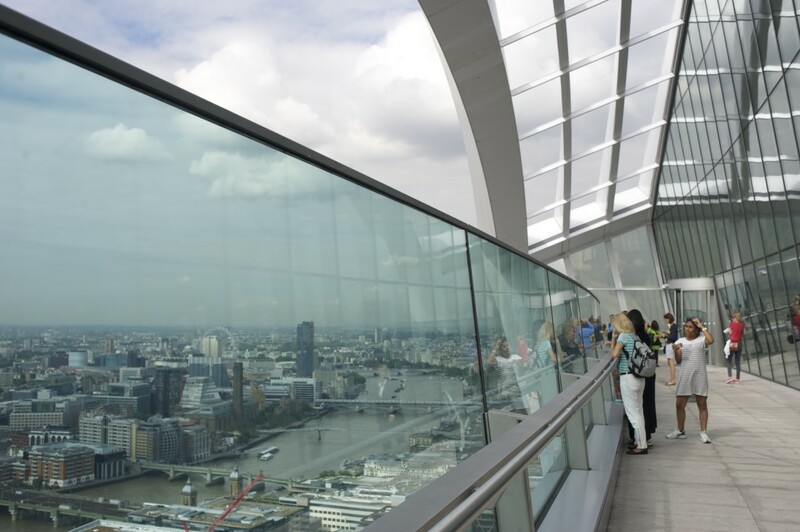 And here’s an insider tip: it’s free to visit the Sky Garden, but there’s often a queue and no guarantee you’ll get in. But, if you have a rez at one of its two restaurants you can cut the queue. Damage was surprisingly reasonable at just under £35 for a meal for two. From the Walkie Talkie, we took the short stroll over to the Tower of London. I’d been ages ago when I originally moved to London, but I was eager to return and Kemey had never been. For a history lesson on a grand scale and to have it hit home just how ancient (and still relevant) London is, there’s no better place to visit. We got there just in time for a free tour led by an actual Yeoman Warder and after that had a gawk at the Crown Jewels. The tower was really the only major attraction we hit during our staycation. 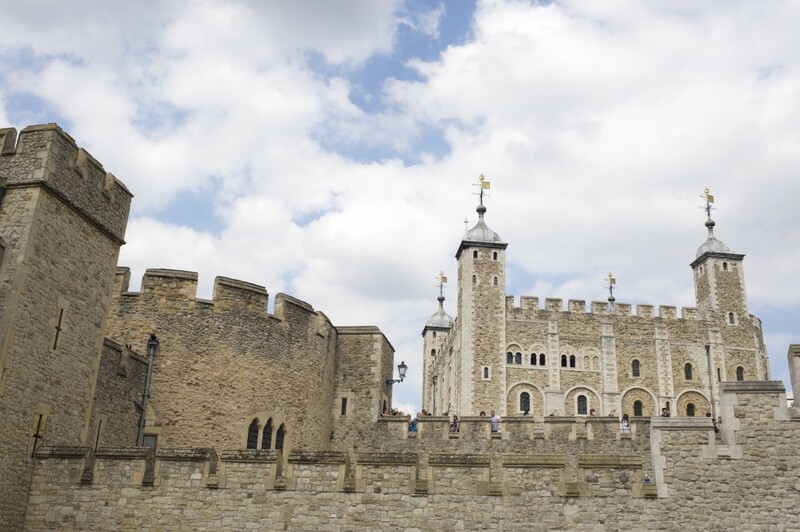 If we had wanted to visit more big time sites, we would have been wise to consider purchasing a couple of London Passes which offer fast track access to some of the city’s most popular attractions for one discounted price. I managed to purchase my tickets online with my Skrill Prepaid Mastercard at a cost of £23.10 each. After our tour of the Tower, we hopped aboard a Thames Clipper (there’s a pier just outside the Tower’s moat) for a cruise up the river. Clippers are part of London’s public transport network. For a daily commute, they’re kind of an expensive option. But for a fun day out, they’re a scenic and efficient way to get around that’s a lot less touristy than other boat rides. We disembarked at Embankment and spent the next couple of hours roaming around. We had a lounge in the grass at St James’s Park, did some “if I were a billionaire” window shopping in Mayfair, and prowled about Soho en route to one of London’s most lavish locales for a luxuriant afternoon tea. Using our Oyster cards (Transport for London’s name for travel cards) a ticket for a oneway ride was £6.44, 10% off regular price. 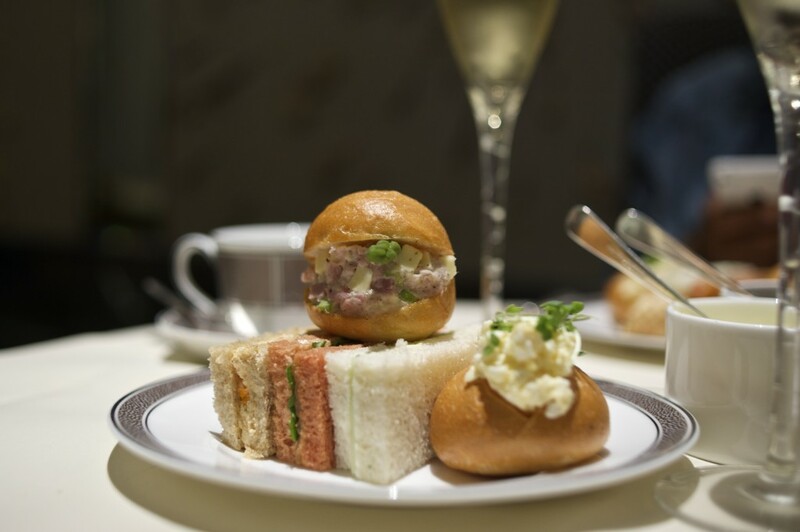 Celebrating its 150th anniversary this year, The Langham London luxury hotel has the distinction of being the birthplace of that ever so English of traditions, the afternoon tea. Served in the Art Deco opulence of the hotel’s Palm Court with elegantly crafted morsels created by Executive Pastry Chef, Cherish Finden, tea at The Langham proved a wonderful way to relax in style, recount our earlier adventures and dream a little about how we were going to have more fun the next day. Kemey and I had booked our tea for the last possible seating, 5.30pm. With a big late breakfast and our tea edging into early evening, we had no need for lunch or dinner. Another nifty aspect to having afternoon tea that that time was we caught the beginning of a performance by a jazz trio at 7pm. With a topped up glass of NV Laurent – Perrier Brut Champagne, afternoon tea came to £59 per person. Intent on having one more treat before heading home, we crossed the lobby of The Langham’s for a drink at Artesian. 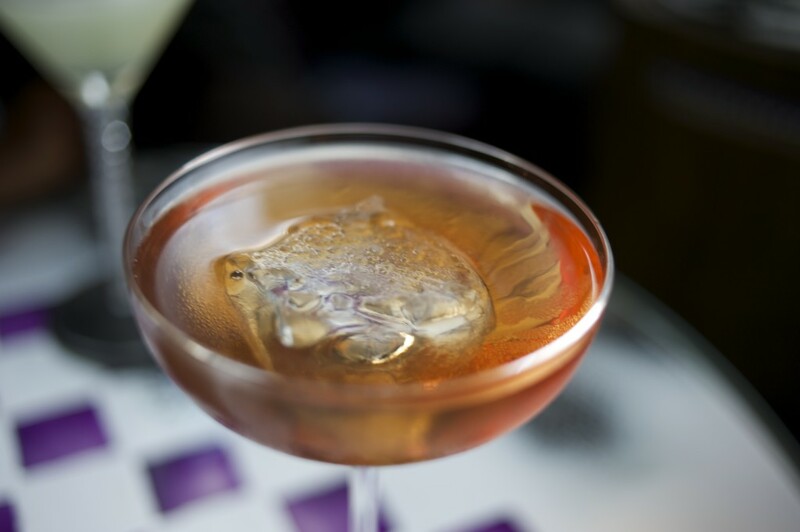 Voted “World’s Best Bar” by Drinks International for the last three consecutive years, Artesian wasn’t only a smart choice for a conveniently situated nightcap but an ideal setting to be amazed. We sipped from the bar’s newly launched Surrealism drinks menu. Taking inspiration from Salvador Dali’s cookbook, Les Diners de Gala, the team at Artesian added “the final chapter to this pivotal tome … and subverting the notion of reality, everyday objects and, once again, the idea of the traditional serve.” For wickedly beguiling cocktails served smoking or in Lego constructions or suspended from a net, it’s the best show in town. Cocktails from the Surrealism list cost £18 each. Ouch? Yeah, but wow! For my second day of staycation, I surfed the Victoria Line of the London Underground on a solo mission to hit a few favourite places along its route between Walthamstow in Northeast London (where I live) to Brixton at the southern end of the line. Before catching the Tube, I dropped by local foodie haven, Eat 17 for a BLT. Served on a toasted brioche bun and loaded with bacon, it provided an especially savoury start to my day. On my way out, I dropped in next door to the award-winning Spar neighborhood grocery, owned by the same folks at Eat 17, it’s a delectably stocked shop with all the sorts of items you’d expect shelved beside some of Britain’s best artisan and gourmet products and freshly made baked goods. I got a supremely tasty blueberry, maple, pecan, cherry, and pistachio cookie for later along with a bottle of water. BLT with coffee set me back £8.05. Snacky shopping at Spar was about £2. The first stop of my Tube tour was Pimlico, where I made a bee-line for Tate Britain. I’d been hoping to view Tate’s current Barbara Hepworth exhibition for some while. A fan of this mid-century British sculptor, I was not disappointed and can heartedly recommend it to anyone interested in sculpture or modern art. The exhibition runs until the 25thof October. Hepworth on the lawn, ie. the Tate’s version of a garden gnome. 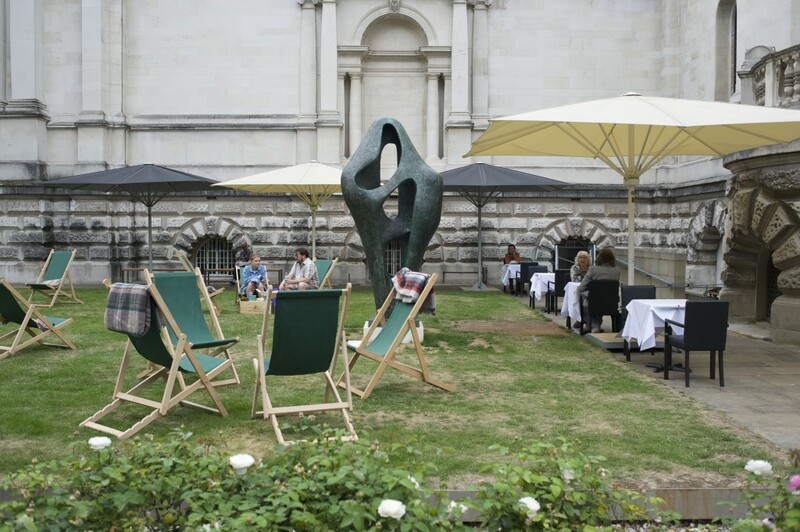 Admission to Tate Britain was free but a ticket to the Hepworth exhibition cost £16. 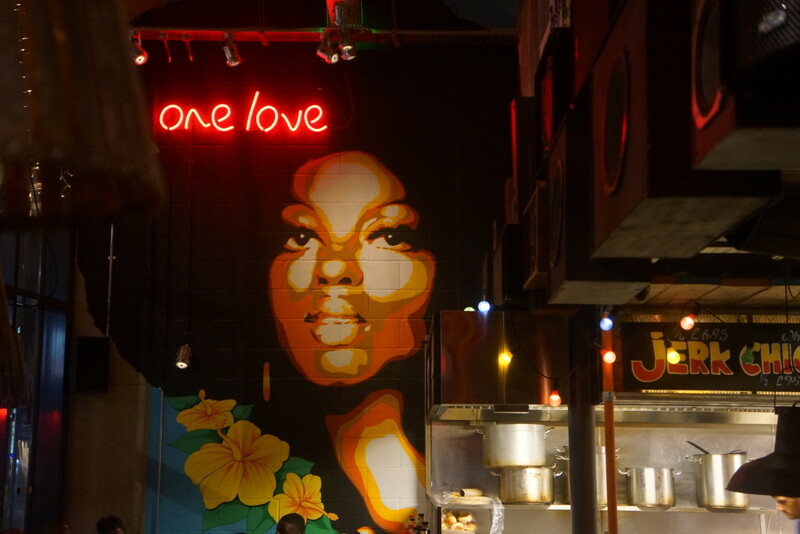 Back on the Tube, I head south to the Victoria Line’s southern terminal in Brixton for a snoop round the recently launched Pop Brixton container village. I had been meaning to check out this “new community campus for startups, small businesses, local entrepreneurs and community organisations” since hearing about it. Lunchtime during the final day of my Skrill summer staycation seemed as good a time as any. And making down there for lunch turned out to be yummy timing. I dined at Hook Brixton, a pop-up outpost of sustainable fish restaurant, Hook Camden (one of my recent favourite eateries in London). Not merely frying up scrumptious fish and chips, Hook sources its main product sustainably and responsibly (and commendably) from small fisheries and line fishermen in Cornwall. The menu is catch of the day, everyday – and only ever just that. Such a fresh approach adds up to a rotating menu of more than 50 different fish and chips varieties to offer (depending on what the boats brought in) alongside dozens of different homemade sauces, seasoned salts, sides, and desserts. Hook’s seaweed-soaked chips are worth noting as well, especially after receiving a spritz or two of sherry vinegar spray. 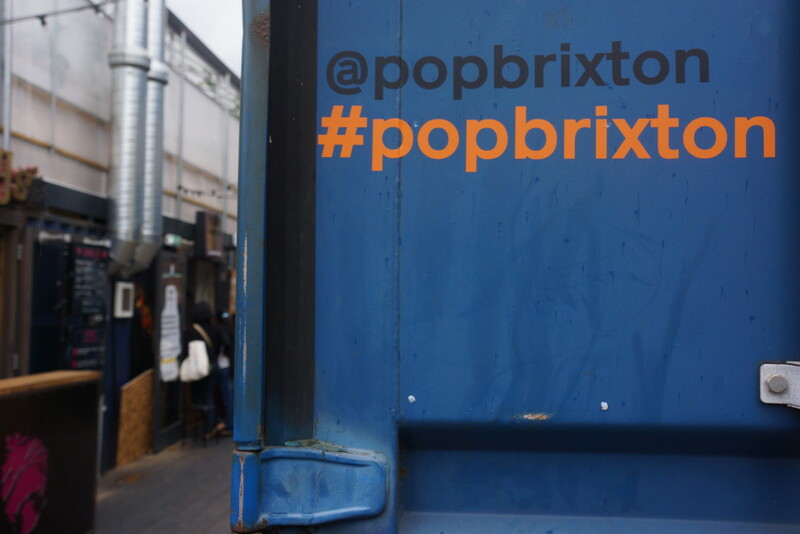 Adjacent to buzzing Brixton Market, Pop served as a perfect setting for taking in the area’s famously edgy street life, and I had a blast browsing around it as well as the warren of nearby streets. An ample plate of fish and chips with mushy peas and beer came to £15. Having returned to Walthamstow, I met Kemey at the Underground station. With a bit more money on my card, we went to the local Empire Cinema and bought some tix for a screening of Pixar’s Inside Out. What a great movie (for kids of any age)! We might also have had a cocktail or two at Caribbean bar and grill, Turtle Bay, before moseying on home, mission completed. Movie tickets with some treats cost about £18. Cocktails at Turtle Bay were £6.95 each (we’d just missed the generous two-for-one offer that ran until 7pm). Chris would like to thank Skrill for kindly sending over one of their Skrill Prepaid Mastercards enabling him to Holiday Like A Local in London. The card was a handy travel companion, which you can use as a credit card, at ATMs or making online purchases, and which you can top up to match your holiday budget. For more info on both Skrill and their Prepaid Mastercards head to Skrill.com. For more tips on London check out Chris’s Secret Seven attractions, plus of course our London city break guide.